Posted September 29th, 2018 by Mobile Music School & filed under Music Lessons. 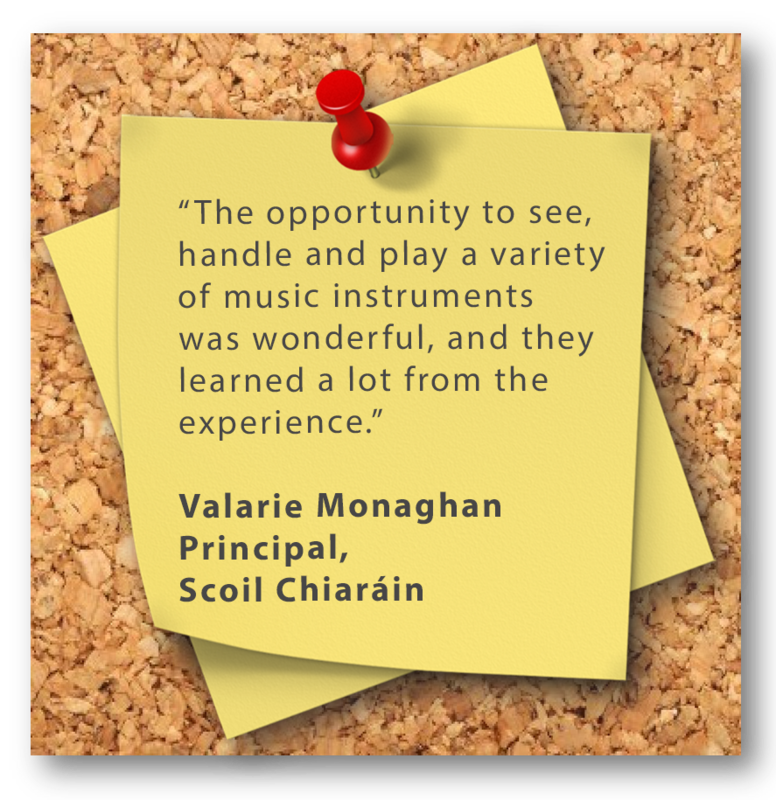 The Mobile Music School has extensive experience delivering music workshops and prorgrammes to primary schools throughout Ireland. Our primary school music programmes for primary schools ensure the world of music is explored in a calm, child-centred manner. Here at the Mobile Music School, we believe music education in primary schools should be interactive, energetic and full of fun for the students. These once-off, energy-filled workshops for schools are designed to immerse children into the wonderful world of music. Each music session lasts 45 minutes and we fit six sessions into an average school day. Set on the three core strands of the primary school music curriculum these educational music workshops for schools focus on listening and responding, performing, and composing. 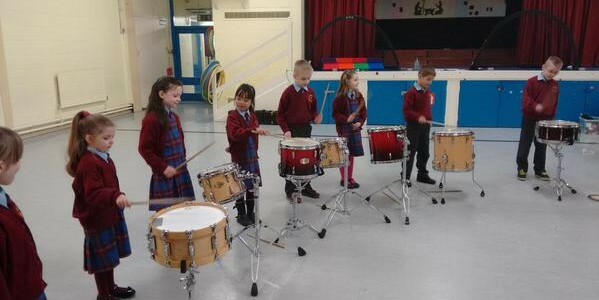 Our primary schools music programmes are a great way for children to learn about a variety of music disciplines in our drumming workshops, music theatre workshops and singing workshops. Our drumming workshops in action! Our highly qualified and experienced music tutors are all Garda-vetted. As we deliver the highest quality of music education in primary schools, each music tutor aims to encourage students to actively participate in the music-making process. 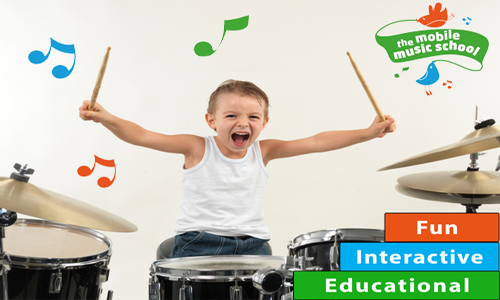 Our methodology for teaching music in primary schools makes it easy for children to learn the fundamentals of music in an environment that encourages growth and personal development. Scroll through our homepage to learn more about our range of primary school music teachers. Our primary school music lessons are beneficial to classroom teachers too. Many teachers have commented on how the classes have given them new ideas for their own lessons, which have fostered a renewed sense of confidence teaching music. In addition, the Mobile Music School provides complementary lesson plans to teachers at participating schools to help them with their learning programme. Our Workshops for Schools – What Are Other Schools Saying? Over the past number of years we have successfully delivered this primary school programme in many schools across Ireland. Our tried, tested and regularly updated music schemes and lesson plans have been enjoyed by in excess of 4,000 pupils already! We are delighted to be invited back to schools year after year, due to the success of our workshops for schools. See what other schools are saying about our music lessons for primary schools, here on our testimonials page. To discuss these primary school music programmes and workshops for schools in more detail, please contact us. For more information, please see our Primary School Music page.